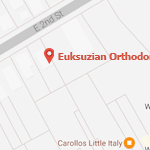 At Euksuzian Orthodontics, we provide high-quality orthodontic treatment to patients of all ages while maintaining a fun, friendly, and welcoming office environment. 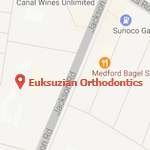 Dr. Sarkis Euksuzian and our highly trained team treat patients with only the best and the latest in orthodontic technology. 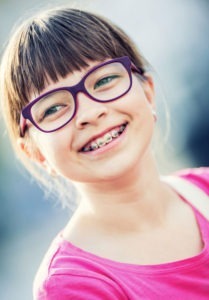 We’re proud to treat patients of all ages, and while a majority of our patients are adolescents, everyone needs orthodontic treatment at a different time – and sometimes, it’s best to start early on in life. Chances are, you know your child needs to visit the dentist by the time they’re three years old – but there’s a similar window for an orthodontic evaluation. In keeping with the American Association of Orthodontists, we ask parents to bring their child in for their first visit by age 7. While it may seem early, evaluating at this age lets us detect any current problems as well as spot anything that might become a problem further down the line. In certain cases, we may opt to start treatment early. 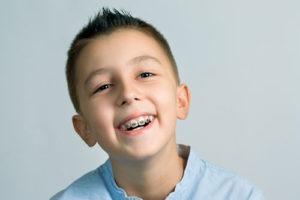 This interceptive orthodontic treatment, also called Phase I treatment, is important for creating the best possible smile and minimizing the amount of time your child spends in braces overall. Early treatment can also help improve your child’s self-esteem – having a smile they’re proud to show off is a great asset as they grow and develop through life. In almost all cases, we’ll need to treat your child again during adolescence (Phase II treatment). While this may seem like extra time, the truth is that without early treatment, they need to spend even longer in braces as a teenager! While not necessary for all patients, early orthodontic treatment can be a vital part of creating a healthy, beautiful smile. If you have any questions about early orthodontic treatment, the treatments we offer, or your child’s orthodontic health, we’d be happy to answer them. Feel free to call us at (609) 654-0600 (Medford) or (856) 234-2992 (Moorestwon), reach out to us at our contact page, or use our easy online form to schedule an appointment at our Medford or Moorestown, NJ office. We can’t wait to hear from you, and we look forward to helping your child achieve a healthy, beautiful smile!